UNHCR has been taking calculated risks in its daily work since its establishment. However, the organization has adopted a formal risk management system only in 2014. The progress made by the organization in institutionalizing risk management, albeit in a light form, has been acknowledged both internally and externally. At the same time there is a growing realization that the organization needs to further strengthen risk management, responding to the evolution of its operating environment, which is becoming increasingly complex and prone to more risks, both internal and external. UNHCR's Risk Management 2.0 initiative will increase investment in and attention to risk management and oversight to better identify, mitigate and respond to important risks in field operations. Key operational risks that affect delivery and impact will be reviewed with particular attention being paid to risks of fraud, corruption, terrorism, money laundering and sexual exploitation and abuse of refugees as well as harassment among team members. The aim is to achieve a more risk-informed management of Operations by reinforcing the continuum between risk identification, root-cause analysis, implementation of risk mitigation measures and response to risks. The incumbent is engaged for a specific period of time to support operational managers in effective risk management and compliance thereby improving risk culture and integrity in the organization. The incumbent shall review the adequacy of risk management and compliance systems, structures, procedures and capacities across the Operation. The incumbent will make recommendations as appropriate for their strengthening and assist operations management in their implementation. The incumbent shall actively engage with internal stakeholders, including with the Bureau and Headquarters¿ Divisions, as appropriate, to ensure alignment in reforms at the country-office level with relevant efforts/reforms at the Headquarters and Regional levels. The incumbent will be part of a network Risk Management 2.0 practitioners and will work in close collaboration with the Chief Risk Officer and the Geneva-based Enterprise Risk management (ERM) capacity to ensure coherence of approach, identify and address systemic root causes requiring a corporate-level response, the sharing of best-practice. Keeping the Representative informed, the incumbent shall also actively engage directly with external stakeholders including relevant Government offices, implementing and operational partners, donors, contractors and refugee/host communities for the purposes of maximizing collective efforts to manage risk, strengthen compliance and maximize the quality of services provided for the benefit of refugees and other persons of concern. The incumbent may manage relevant personnel/functions relating to compliance, quality and risk management. Due to the temporary nature of the engagement, the incumbent shall ensure that efficiency of operations management is improved through: close collaboration with the operations management team; clarity of roles; improved skills in risk management; and full integration of risk management, compliance and quality assurance actions into core operational activities. The incumbent reports directly to the Representative, with a functional reporting line to ERM Unit. Systems, structures, procedures and capabilities relating to risk management, compliance and quality assurance are assessed across the entire operation and recommendations are made on how to strengthen same at country, regional and/or Headquarters/global levels. Agreed/endorsed recommendations referred to above are implemented in accordance with agreed milestones and budgets. Coordination mechanisms are established and effective between UNHCR, other UN organizations, implementing partners, operational partners, and relevant Government authorities so as to maximize collective efforts to manage risks, ensure compliance and maximize quality. Donors and other stakeholders in the Operation are kept abreast of efforts, achievements and obstacles in the management of risk, in ensuring compliance and in ensuring quality of results. Approved actions resulting from recommendations of audits, studies, reviews, management implication reports etc. are implemented within agreed timeframes. In collaboration with other units at Headquarters, the IGO and LAS, prepare, review and provide input to oversight information that may need to be shared outside the Organisation. Prepare or review and provide input to management reports to external stakeholders (including country reports and presentations to locally based UN organisations, donor countries, interagency meetings and UNHCR partners on risk management and oversight). Assist the Representative in formulating the Operation¿s communication strategy on risk management, compliance, quality and oversight related matters. With assistance from and in close coordination with the ERM, Global Learning Centre, and other Headquarter Services, as required, develop and disseminate training and communication material on risk management and compliance responsibilities in the Operation to ensure knowledge and skills gained are sustainable. Promote best practise in risk management, compliance, quality, and oversight within and outside the Operation. Provide regular updates to the Representative, the Bureaux Director, Chief Risk Officer and Inspector General. Have access to all persons, records, reports, and assets under the ownership or control of the UNHCR Operation required to perform his/her work. Make decisions on the content of reports and presentations to the Representative and HQs on lessons learnt and root causes to address systemic and recurring high risks or emerging trends in the Operation. Make decisions on the implementation of the tools and procedures to manage risk and management data in the Operation. Represent the Representative in relevant internal and external task forces/meetings within areas of the responsibility. Represent the Operation as required in UN meetings dealing with risk management and oversight matters. Decide on administrative approaches and procedures pertinent to areas of the responsibility. Graduate degree (equivalent of a Master¿s) plus minimum 11 years of previous work experience relevant to the function. Undergraduate degree (equivalent of a BA/BS) plus 12 years or Doctorate degree (equivalent of a PhD) plus 10 years of previous relevant work experience may also be accepted. At least 6 years of experience in a senior managerial/leadership position involving, amongst other things, responsibilities relating to risk management, compliance and/or quality of results. Excellent judgement with proven ability to deal with complex interrelated issues and strong analytical and problem solving skills to develop solutions that address root causes. Excellent communicator with strong interpersonal skills. Strong management skills in collaboration, team building, capacity development and with ability to deliver quality results on time. Exposure to and experience in UN or humanitarian field operations and emergencies in various geographical locations. Demonstrated high level of integrity, objectivity, impartiality and fairness. Excellent drafting skills and capacity to communicate complex matters to a wide non-expert audience as well as to experts involved in the area of responsibility. Knowledge of English and UN working language of the duty station if not English. 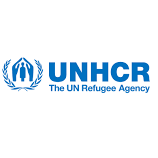 Good working knowledge of UNHCR¿s mandate, field operations, organizational structure, and policies. Good working knowledge of another UN language. Working experience in an oversight function within the UN. Knowledge of and working experience with Enterprise Risk Management frameworks. Knowledge of additional UN languages. This is a Standard Job Description for all UNHCR Senior Risk Management and Compliance Advisor positions. The Operational Context may contain additional essential and/or desirable qualifications relating to the specific operation and/or position. Any such requirements are incorporated by reference in this Job Description and will be considered for the screening, shortlisting and selection of candidates.